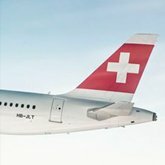 Swiss International Air Lines will introduce a new premium economy class on its long-haul aircraft fleet in the spring of 2021. The new class will initially be available in a 24-seat section of the carrier’s Boeing 777-300ER aircraft. Moving forward, the product will be extended to the entire Swiss long-haul fleet. Swiss will be investing about $39 million on installing the new seating class on its Boeing 777 fleet. The travel class will feature a newly developed seat providing extensive legroom and movement. Tamur Goudarzi Pour, chief commercial officer, said that with the new product, “travelers will enjoy a substantially stronger sense of personal space.” The decision to offer the new seating class was also encouraged by the positive experiences with a similar product on Lufthansa and Austrian Airlines, Swiss’s sister companies within the Lufthansa Group.